As a gal with oily skin, this heat means I’ve had to switch up my skincare routine, and the cleanser that I have been reaching for recently is the Clarins Pure Melt Cleansing Gel. It goes on as a gel, turns into an oil as you massage it in, and then rinses off as a milk – 3 in one! It does a fantastic job of removing makeup (what’s left of it at the end of the day!) and I feel like my skin has been stripped of excess oils without feeling too dry. The Marula oil within the gel gives skin radiance and comfort and it’s initial gel-like formula makes it perfect for using with a facial cleansing brush, such as a Clarisonic (review here!) and even those stubborn, hard to remove products are melted away once it comes into contact with water, and turns into a milky cleanser. I’m usually wary of high performing cleansing products – dreading that tight feeling that comes when products have stripped skin of natural oils – but this isn’t the case with the Pure Melt Cleansing Gel, it is super powerful, but also gentle at removing makeup and excess oil leaving skin squeaky clean but still comfortable. I’d say this cleanser is suited to all skin types – it is unscented and I can well and truly hand on heart say I’m SURE you will use this and fall in love just as I did! 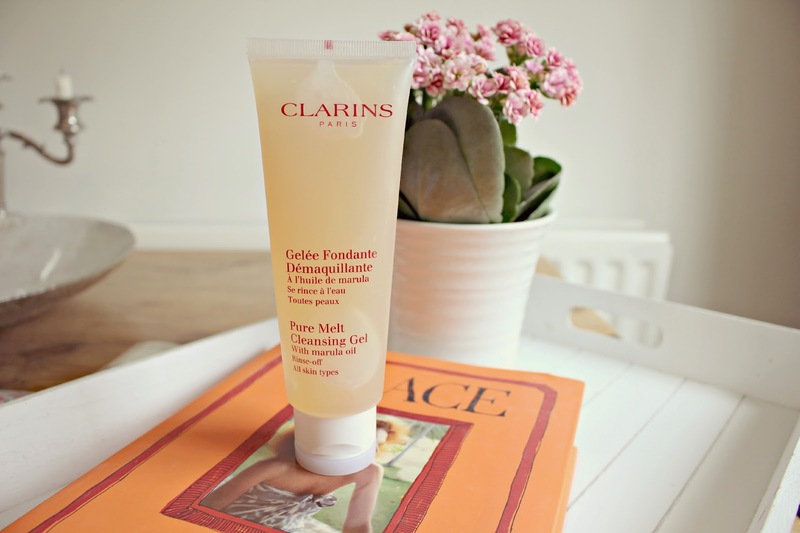 The Pure Melt Cleansing Gel is available from the Clarins Website, for £20, here!